IPL photo rejuvenation erases skin damage without disrupting the skin surface and treats a wide range of problems to improve texture and complexion. IPL is relatively painless, long lasting, totally safe and non-invasive. 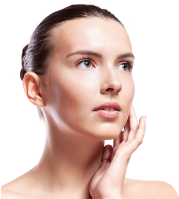 As a result, IPL produces smoother, more even toned and youthful skin, with low risks. For any questions you might have, head over to our FAQ page! If you’re tired of shaving or waxing constantly, then IPL Hair Removal is for you! Removing hair quickly, comfortably with longer lasting results, it can be done on any part of the body and results last up to 2 months. Other parts of the body may result in hair being permanently removed. IPL skin rejuvenation treatment is for uneven pigmentation, age spots (sun induced damage), brown pigments or spots and spider veins (broken capillaries) of the face, and rosacea. IPL Can help clear broken capillaries without damaging the surrounding tissue. You’ll feel little or no discomfort throughout the procedure and your skin will look and feel better than ever. Call us today on 9852 4999 to book an appointment with one of our friendly, professional IPL service specialists.